﻿ News Bharati - Red Planet shows its new feature: Presence of liquid water lake in such a cold condition, know how! News Bharati - Red Planet shows its new feature: Presence of liquid water lake in such a cold condition, know how! 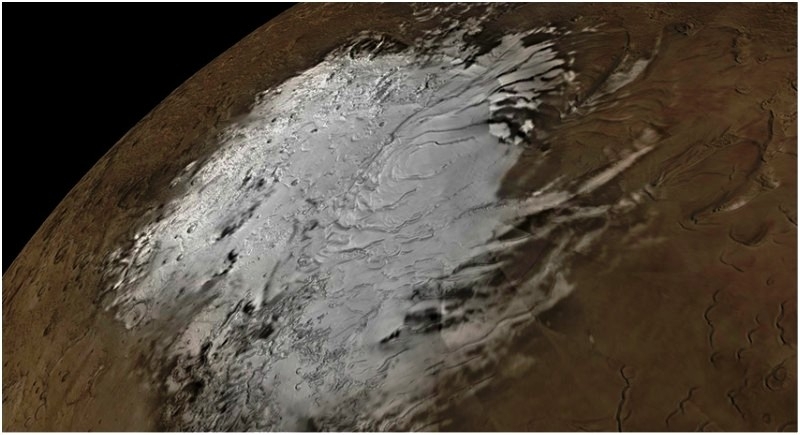 Red Planet shows its new feature: Presence of liquid water lake in such a cold condition, know how! Rome, July 26: Red Planet, Mars is slowly giving us signals of being not only our neighbor planet but can be a neighbor with living creatures too as a massive underground lake has been detected for the first time on Mars, raising the possibility that more water - and maybe even life - exists there. The waterbody, more than 1.5 km deep underground, managed to remain unfrozen because it’s briny, full of salt and under immense pressure. Mars is now cold, barren and dry but used to be warm and wet. It is believed that the planet was home to plenty of liquid water and lakes at least 3.6 billion years ago. Scientists are eager to find signs of contemporary water because such discoveries are key to unlocking the mystery of whether life ever formed on Mars in its ancient past, or if it might persist today.